Use this checklist so your flooring performs as designed when installed over in-floor heat. Failure to take the recommended precautions could void your warranty. To minimize the effect that rapid changes in temperature will have on the moisture content of the wood floor, the National Wood Flooring Association (NWFA) recommends that an outside thermostat be installed. Radiant systems work most effectively, and with less trauma to the wood floor, if the heating process is gradual and based on small incremental increases in relation to outside temperatures. Concrete or Gyp-Crete with a rating of less than 3000 PSI is insufficient for glue down applications. Advise Touchwood immediately if this is the case. If the subfloor is concrete and it has cured, turn the heat on, regardless of the season, and leave it on for at least 5-6 days prior to wood delivery. This will drive out residual moisture. Glue down installations require the heat to be turned off before the installation begins. All concrete must be devoid of any paint, adhesives, drywall mud, or any other forms of contamination. Scrape and or grind the entire work area prior to hardwood delivery. Electric under-floor systems and water-heated radiant heat systems must be pressure tested and documented by a qualified plumber or the system installer prior to installation. Check the heat system’s manufacturer guidelines. Tubes are not to run tight against the underside of subfloor. If flooring materials that conduct heat at different rates are on the same circuit or heating zone, check with an HVAC mechanical engineer prior to proceeding. 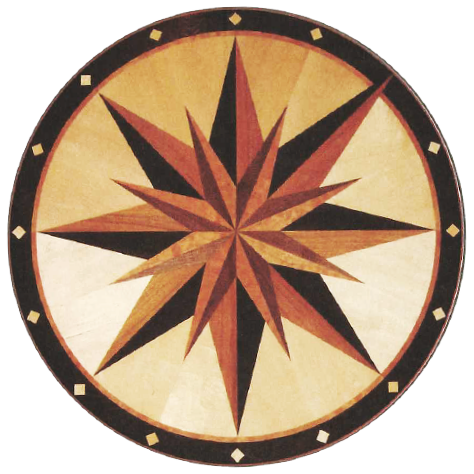 Radiant Panel Association (radiantpanelassociation.org) is a good resource. Two days after installation, gradually raise the temperature to the desired level by 1-2 degrees Celsius per day. Maximum subfloor surface temperature is 27 Celsius. Limit traffic on hardwood floor for 48 hours after installation for glue down, and 24 hours for floating installations. Radiant heat is a dry heat. The humidification system may need to be upgraded to maintain the wood flooring in its comfort zone. Most require year-round relative humidity of 35-55%. Check the manufacturer’s recommendations. Surface cracks, gapping and dry cupping are often caused by insufficient humidity and/or an excessively high temperatures. All subfloors should have proper moisture testing performed prior to the delivery of wood. Concrete should have a calcium chloride test. Touchwood cannot proceed with installation if the calcium chloride test indicates a result above 7lbs moisture per 1,000 cubic feet. Wooden subfloors should be pronged and the moisture content of subfloor recorded. The results will be shared with the contractor and/or home owner through email. Acclimation time for all hardwood over in-floor heat is five days. No special stacking is required. Heat must be turned off 48 hrs prior to installation. Unless otherwise indicated, the maximum subfloor surface temperature for all glue and nail down installations is 27 degrees Celsius. Sealer is required prior to recommended adhesive. Expect some heating season shrinkage. Floors must be primed, and then glued down with recommended adhesive. No sealers or primers are required. Floor to be glued down with recommended adhesive. Shorter fasteners (cleats) are used so as not to penetrate heating tubes or heat sources. A 6 mil or better polyethylene vapour barrier should be installed over concrete subfloors. In some cases, this may be part of the flooring underlayment. A foam or resilient underlayment recommended by the hardwood manufacturer must be installed prior to application of wood flooring. Touchwood often uses a 2-in-1 vapour barrier and foam pad called EasyStep, which also diminishes reflective sound. Cork flooring only requires the poly, as it is constructed with a cork underlayment attached. Use adhesive approved by manufacturer for side and/or end joints. Maximum subfloor surface temperature is 28 degrees Celsius.